Congratulations to Photo Booth Parties for being one of the top booked members in April with 14 bookings! 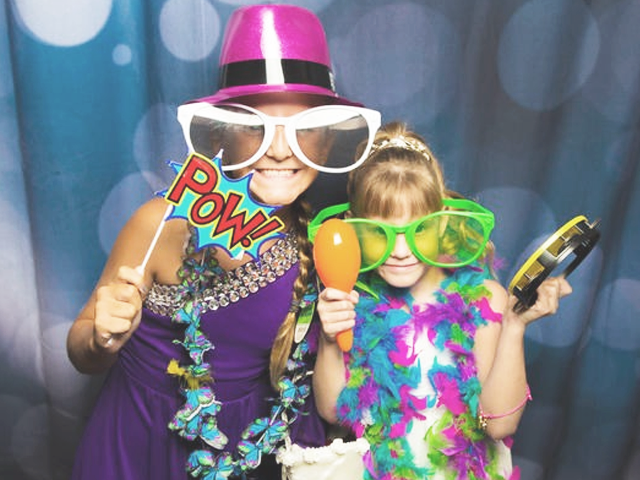 Photo Booth Parties is based out of Suffern, NY and offers countless photo booth options to fit any occasion - from weddings to charity events to corporate parties! Photo Booth Parties has been a GigMasters member since 2015 and currently has 78 verified client reviews and almost 200 bookings! We reached out to Jarret from Photo Booth Parties to learn more about the company and get some tips on how he's been so successful. Having a background in entertainment and also being an inventor, I always find a way to stand out from the others and think outside the box. I was recently on the Home Shopping Network with one of my inventions. I have been a DJ for 15 years and have added on different types of entertainment to my business throughout all the years. I love working with new technology and bringing it to others to have fun with it! I'm also excited to announce we have a "Photo Booth Fun Bus" coming out in the next few weeks which will be a huge mobile photo booth on wheels with so many cool features. Not only will it be a photo booth, but we will have laser shows, music and a ton of other exciting things. Look out for it on a road near you! What tends to be the most popular photo booth prop at events? Clients seems to love the fun signs, but every event is different and you have to be prepared. You've been a GigMasters member since 2015 and have 180 bookings. That's amazing! What's your secret to success? My success is 100% customer service. Remember one gig can lead to another 100! What's your favorite thing about being a GigMasters member? GigMasters provides an easy platform for you to communicate with your potential clients. They are always there to help you if you need it. What advice would you give to other GigMasters members on how to be successful? As I was told in elementary school..."Its nice to be important, but its more important to be nice!" Clients Love Photo Booth Parties! "BEST PHOTO BOOTH EVER!!! This was one of our guests’ highlights of the night at our wedding! It was one of ours too! They made our night so much fun! They had a variety of great props - so many I have never seen! They were so creative with the props, but also had the cute ones we were hoping for (for our wedding). They included a flash drive and album of all the pictures - included in the price and given THAT night! This was the BEST photo booth I’ve ever experienced - and I have been to lots of weddings with these! I would use this company again in a heartbeat!" Congrats to Photo Booth Parties on a successful month of April (and past 3 years!) and cheers to many more!